Samsung’s most expensive offering of this year, the Galaxy Note 9 was launched on August 22. In the initial days of the sale, the South Korean giant was offering a discount on the Samsung Gear Sport smartwatch, wherein Galaxy Note 9 buyers could buy the Samsung Galaxy Watch for Rs 4,999 as opposed to the original price of Rs 22,990. Now Samsung has again launched a similar new offer for Galaxy Note 9 buyers as part of which they will be able to pick up the newly launched Samsung Galaxy Watch (42mm variant) for Rs 9,999 as opposed to the original price of the Smartwatch which is Rs 24,990. It’s noteworthy that this isn’t the first time that Samsung has launched such an offer. Previously, the offer was launched for the earlier edition of Samsung smartwatch. As part of this new offer, the Galaxy Note 9 users will be able to buy the Samsung Galaxy Watch 42mm variant for mere Rs 9,999 thus saving Rs 14,900 in the process. The offer information was conveyed on Twitter by a Mumbai-based independent mobile retailer, Mahesh Telcom. The offer has already gone live on September 26, and it will continue till October 20. The new Samsung Galaxy Watch comes with an IP68 rating along with a MIL-STD-810G rating proving its durability. The Galaxy Watch features stress management and tracker, and it also offers breathing exercises for relieving higher stress. There is also a sleep tracker which tracks REM sleep cycles and other data for the users. Additionally, the Samsung Galaxy Watch ships 59 workout profiles with 21 new indoor exercises. The watch also easily pairs up with the Samsung Health app and allows the users to better manage their calorie count, workout routine and sleep cycles. The Samsung Galaxy Watch functions on the Tizen OS 4.0, and it comes with a Circular Super AMOLED panel protected by Gorilla Glass DX+ protection. The display on the watch is also an always-on one. The watch draws processing power from the dual-core Exynos 9110 SoC, which is accompanied by 768MB of RAM and 4GB of internal storage. The Samsung Galaxy Watch sports sensors like accelerometer, ambient light sensor, barometer, gyro, and HRM. 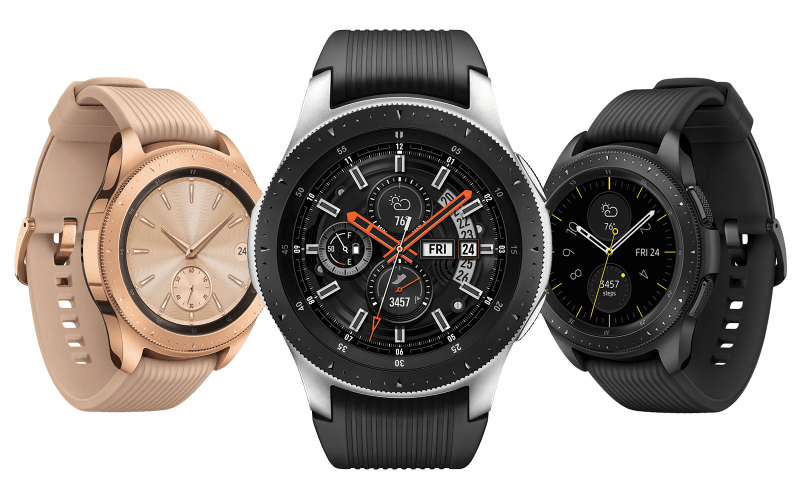 For connectivity, the Samsung Galaxy Watch includes Bluetooth v4.2, Wi-Fi 802.11 b/g/n, NFC, A-GPS/ GLONASS. The watch also supports WPC standard-based wireless charging, and it is compatible with devices running minimum Android 5.0 or the iPhone 5 and later based on iOS 9.0. The Samsung Galaxy Watch 42mm variant flaunts a 1.2-inch Super AMOLED display with 360×360 pixels resolution, and it draws power from a 270mAh battery. The dimensions of the Galaxy Watch 42mm measure 41.9×45.7×12.7mm and it weighs 49 grams. To recall, the Galaxy Note 9 sells for Rs 67,900 in the market for the base variant with 6GB RAM and Rs 87,900 for the 8GB RAM variant. There are also additional offers on Paytm and HDFC Debit card or credit card users will be eligible for Rs 6,000 cashback.